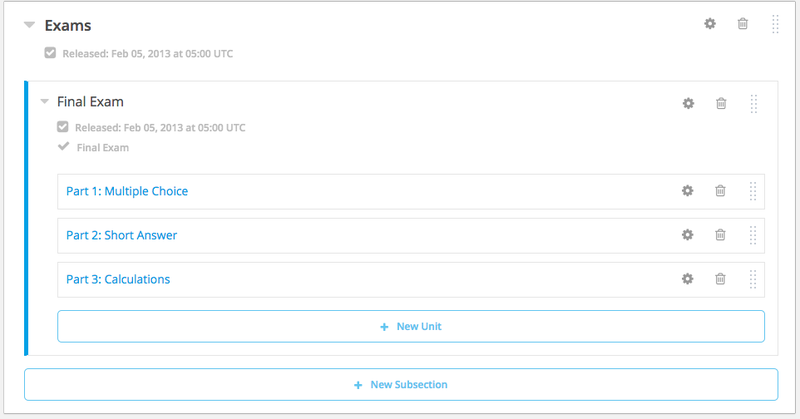 From edX Studio, click the "New Section" button. I'm going to name the Section "Exams" and then add a subsection named "Final Exam." How you organize your course is completely up to you. If you desire, you can have each exam in its own subsection, which might follow each chapter of material; or you can have all of the exams in a single section (as I am doing in this example), and simply release each whenever you feel it is appropriate. After you've created the subsection that is to be your final exam, click the Settings Icon (the little gear I'm pointing to in the previous image). This will bring up your settings for this subsection, which contains a lot of useful tools and parameters for you to set. 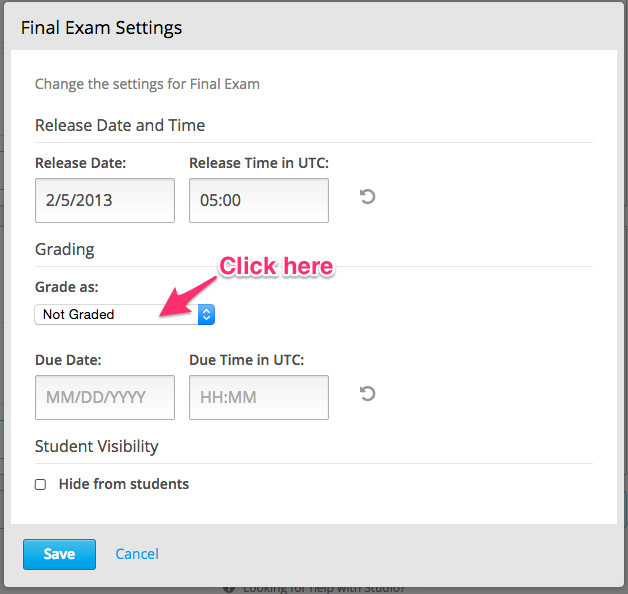 Because this is a final exam, click the "Grade as:" dropdown menu. 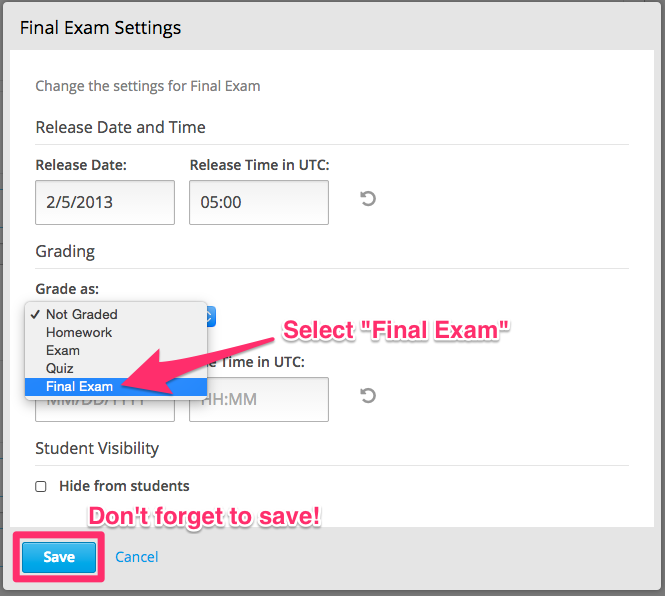 Now simply select that you want this subsection to be graded as Final Exam. If you are unsure how we set this up, I encourage you to check out our article on Grading & Assignment Types. It is important to remember that grading configuration happens at the subsection level. This means that every unit within any subsection will be graded with the same weight. Now all you have to do is start adding questions! Click "+ New Unit" to begin. 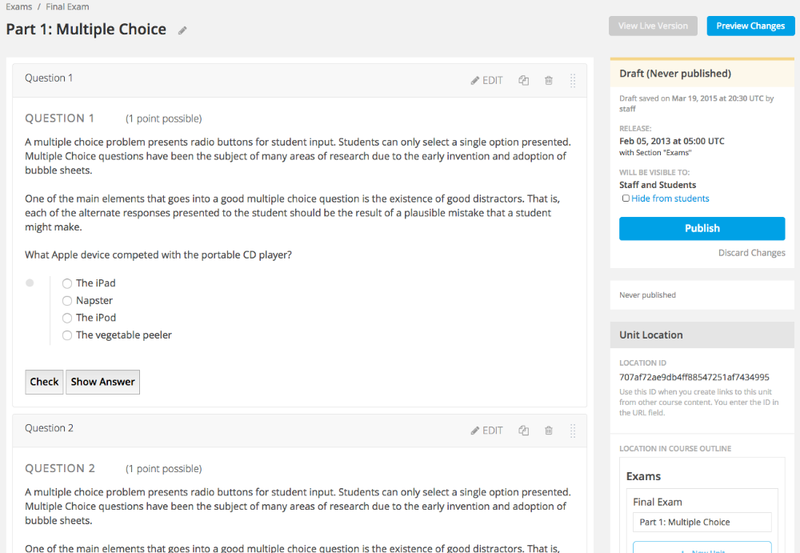 You can organize your exams in any way you choose! Have all the questions under one Unit, or break them up into various Units depending on problem type, course material, or however you decide. Multiple questions on a single page.